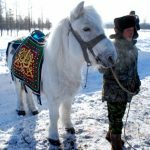 The Yakutian Horse is an extremely hardy breed of Siberian horses that are known for their adaptation in extreme cold weather. 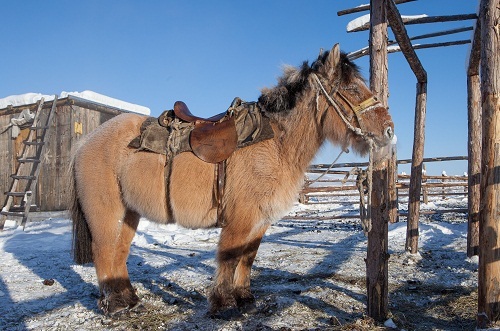 Developed in the Far-East Siberia, this breed is used for several purposes including general riding, meat and milk. 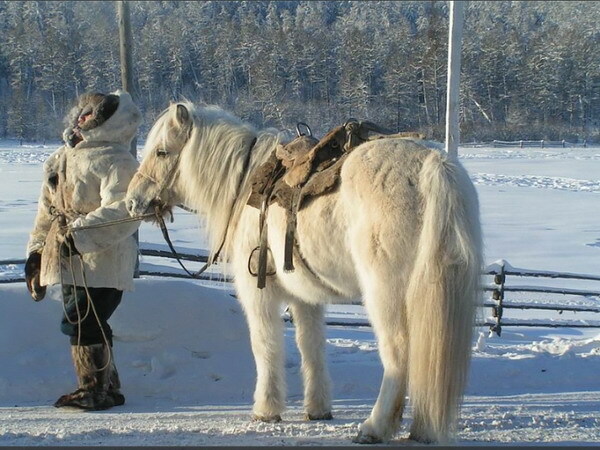 The warm coat of these equines can be turned into clothes. 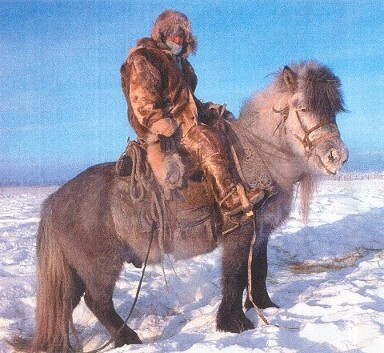 Maintenance of this breed is also easy, for which they are highly popular in Siberia. The main responsibility of the owners is to protect them from wolves, and take care of them including cleaning from the snow regularly. 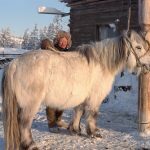 A new scientific study involving comparison between the genomes of two ancient Yakuts from Siberia and nine living ones has concluded that the present stock of the Yakutian horses was developed between the 13th and the 15th century after the Yakut people migrated into the Siberian realms. 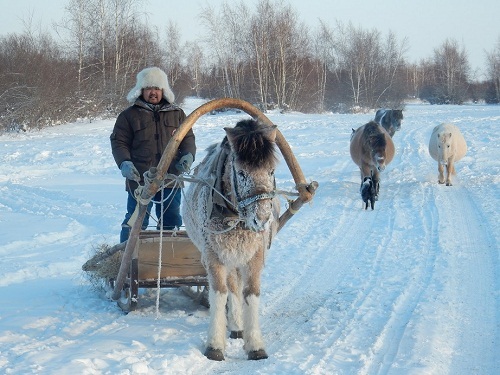 These horses came directly from the domestic horses which these Yakut people had brought with them. 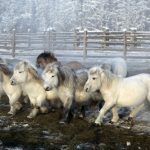 Contrary to a common belief, they are not the descendants of the native wild horses belonging to the Neolithic times that once inhabited the snow-covered regions of the Russian province of Siberia. 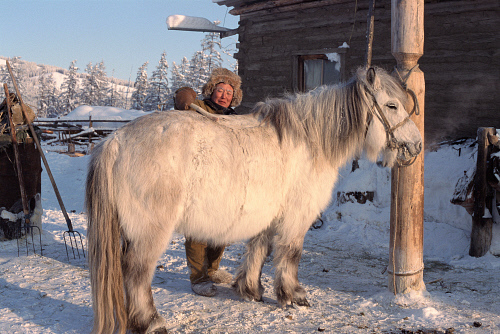 The Northern Type: The purest bred Yakutian horse, and is the most valuable. 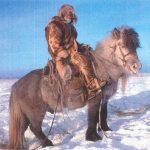 Also called the ‘Middle Kolyma’ or ‘Verkhoyansk horse’, they have primitive markings e.g. the zebra-like patterns on the legs, and dark dorsal stripe. 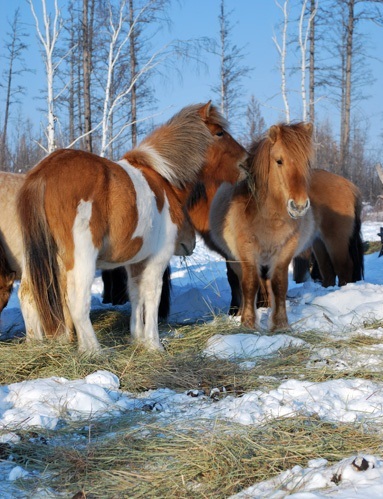 The Larger Southern Type: Resulted from crossing with other local breeds like Suntar, Megezh and Olekminsk, and are extensively spread throughout central Yakutia region. 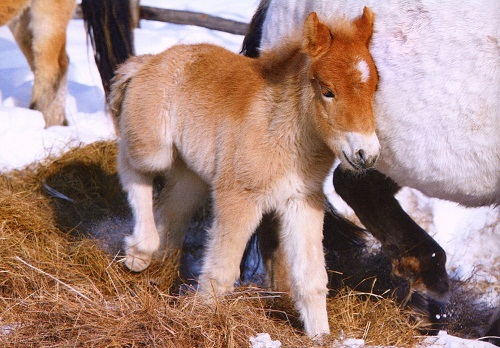 The Smaller Southern Type: Relatively less valuable, and are shorter than the previous type, but are purebred. 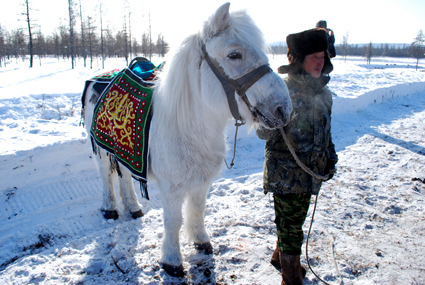 The Yakut horses have the ability to locate the vegetation covered under deep snow, and graze on them. 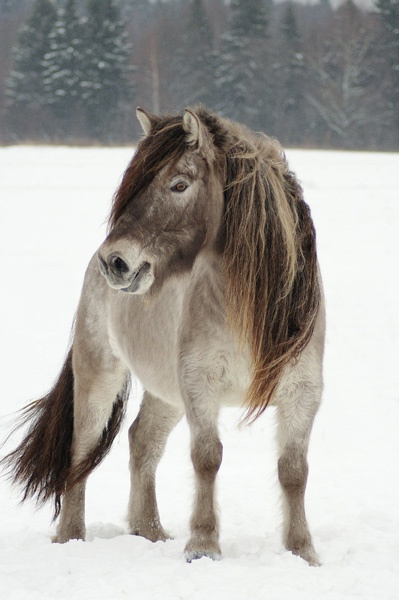 This horse can very easily survive without a shelter in temperatures reaching up to −70 °C. The short but wide feet and the straight neck are direct results of its adaptation to retain heat in a better way. 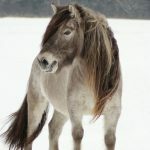 The very dense mane and tail, and exceptionally thick winter coat keeps it warmer in the harsh weather. 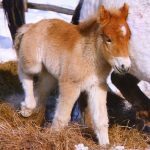 During the short summer months, they lose almost 20% of their body weight and start accumulating fat of up to 35 kilos. 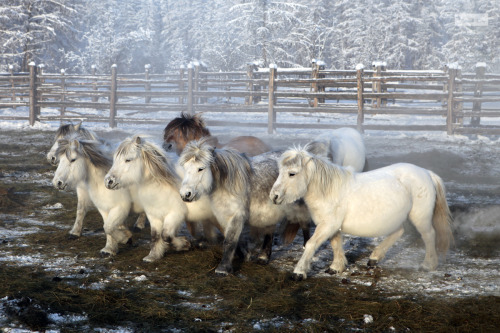 Their pace of breathing decreases from 20 breaths /minute to 10-12 during winter. To store body heat, the volume of their urine decreases from 19.8 liters to 12.6 in the cold months, while the dropping decreases from 8.65 kJ/kg/hour to 4.83 kJ/kg/hour. They have sharp, hardy hooves to help them dig out grass from under thick snow. 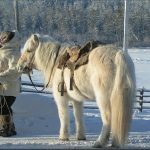 The Yakutian horse is a good producer of meat. They can produce up to 105 kilos of live weight meat when they are 6 months old, 165 kilos by 30 months, and about 228 when adult. 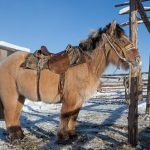 Their milk production is also high, with the lactating mares in the experimental farm of the Yakut Institute of Agriculture producing 1200-1700 kg of marketable milk in 6 months time. 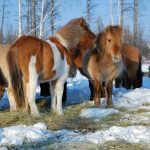 Studies reveal that, mammals, in general, would take almost 1000 years to attain the level of hardiness that the present-day Yakutian horses exhibit. The shaggy hair (wanes) of this breed is very primitive. It is the type of hair that the woolly mammoths possessed. 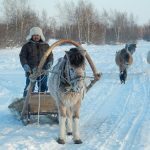 Presently, the leading Yakut pure breeding facilities are Karl Marx collective farm in the Yakut ASSR, and the Leninski state farm.